Now that so many of us have a zillion photos stored on our laptops or phones, I love creating any gift that takes the best of those photos and puts them onto something we can hold onto So, for some of my favorite people, I’ve turned recently to Snapbox to make beautiful and affordable photo gifts. In the past I’ve ordered their custom canvases and Peel & Stick Fabric Posters, and now they have one more option worth checking out: Their new Layflat Photo Books which are so so easy I think a ton of us busy parents will appreciate them. And just in time for Father’s Day and graduations, too. Related: A comparison of 11 of the top photo book sites: Which is best for you? They let me try out the service and I’m really impressed with it from start to finish. Unlike some photo book services which can get overwhelming with dozens of layouts and possibilities, this is the option for those of us who just want to get it done, but get it done nicely. What you give up in options like typography you make up for in ease. The template is super streamlined with one photo on each page, though you do have the ability to print wider landscape shots that run across two pages. That layflat bookbinding means you don’t lose any imagery in the middle. We don’t want any part of our special photos to get lost in the gutter, right? 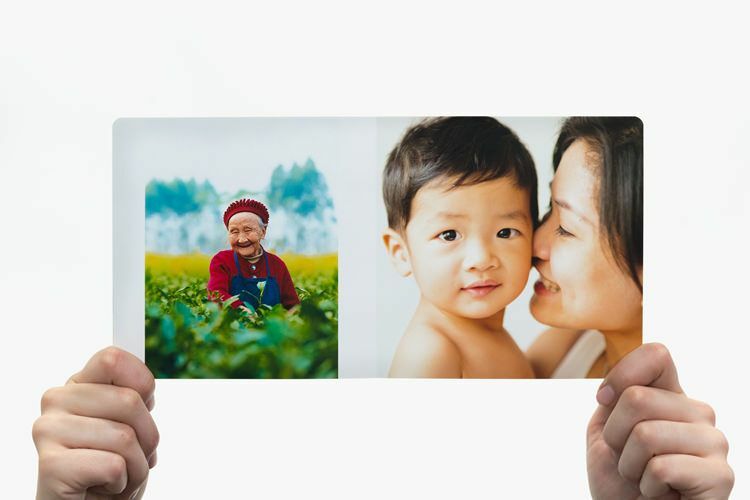 Then they’re all assembled into a chunky, board-book style collection of gorgeously printed pictures on a really thick, durable silver halide paper, all for under $30 right now on sale. Pretty great. Just know that all that’s editable is the color and text on the spine of the book — and the photos of course. So this is not for super control-freak designers who want to play around for hours. However it is for those of us who just want something that looks great, that can be created quickly and easily. 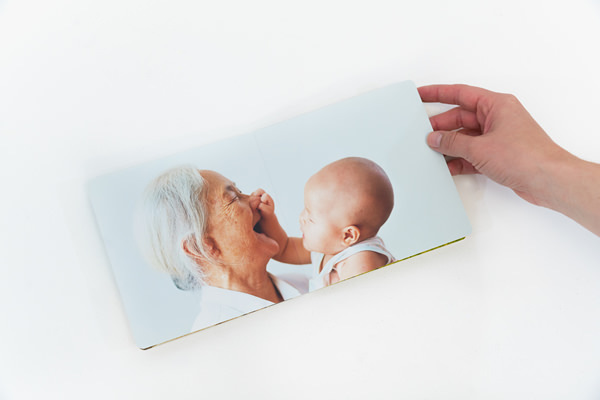 I want imagine giving them to so many people: My father-in-law who lives a plane-ride away will love a photo book that makes him feel a little closer to his grandchildren until we all see him again. My husband will love a Father’s Day photo book made up of 22 of the best photos from our last family vacation. And then I’m thinking of the high school grads I know, who’d love photos of all their besties and school memories to pack off to college with them in a convenient little package. It’s also a cool idea for end-of-year teacher gifts; think about a photo book made up of candids you took while chaperoning Field Day or your son’s classroom trip to the zoo. Or gather a dollar or two from each parent in the class for a really affordable class gift that everyone will surely agree on. 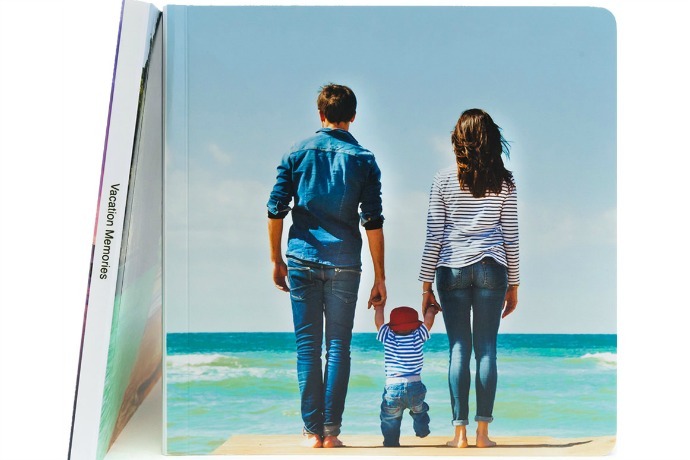 Order Snapbox’s easy Layflat Photo Books for just under $27 for a limited time (normally $36.99), and get an additional 25% off if you register for their emails when visiting the site. Thank you to Snapbox for letting me make a photo book to try out the service. These pics look great! It’s perfect for al of us who feel overwhelmed and inundated with digital treasures. Will definitely give this a try!